It is gift giving season and we can’t forget our four legged friends! 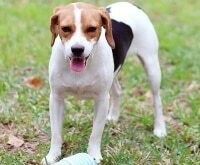 Give dogs and their owners special, personalized gifts to show how much you care. 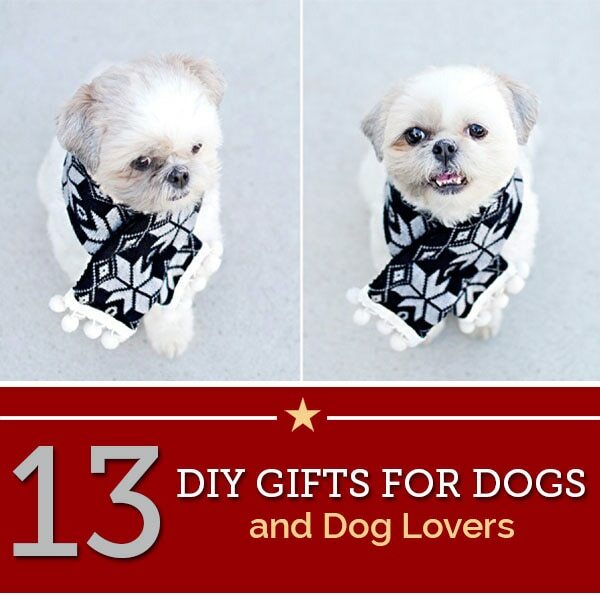 Our DIY gifts for dogs and dog lovers feature affordable crafts made with love, from homemade shampoo to custom wall decor. Going to a party? Show up with a gift for your hostess’s dog. 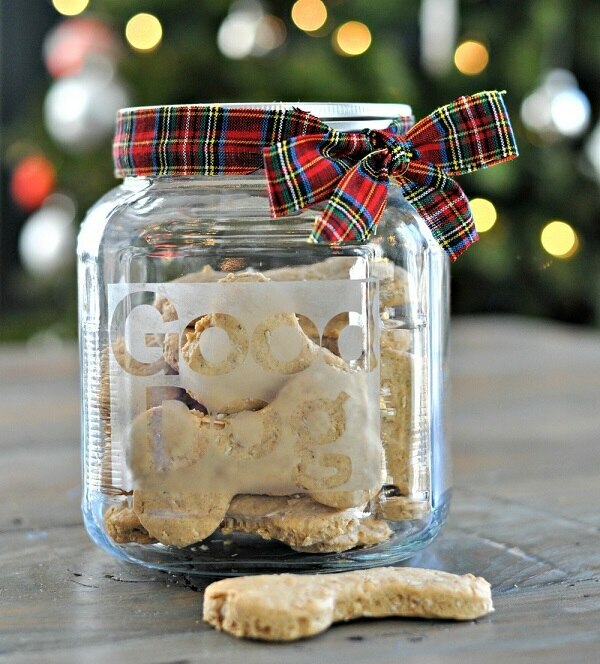 Etch their name on a jar and fill with treats. This will be a party conversation starter! 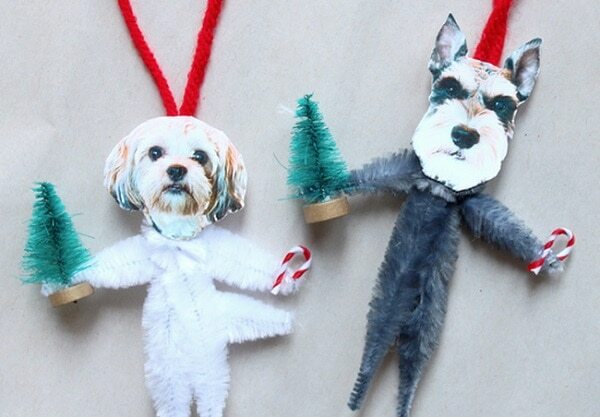 Every dog owner needs to have their own custom dog ornaments! Be different! 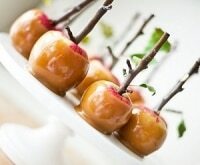 Ditch the wine basket and bring your host a pail of goodies for their dog. 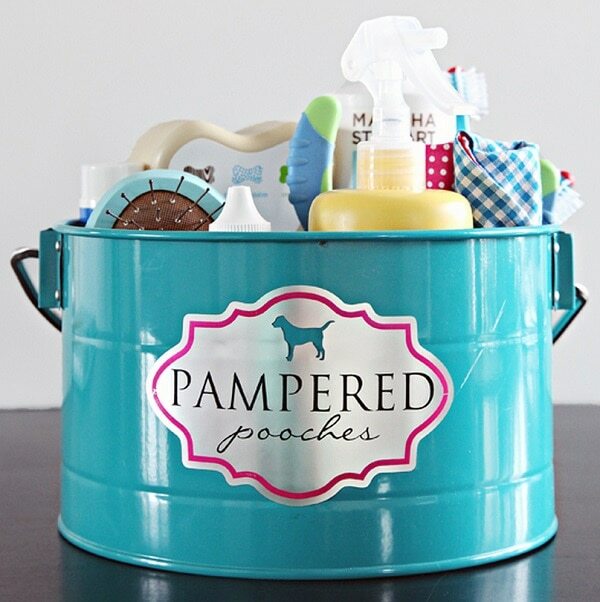 Personalize a colorful pail and fill it with dog toys, treats and shampoo. 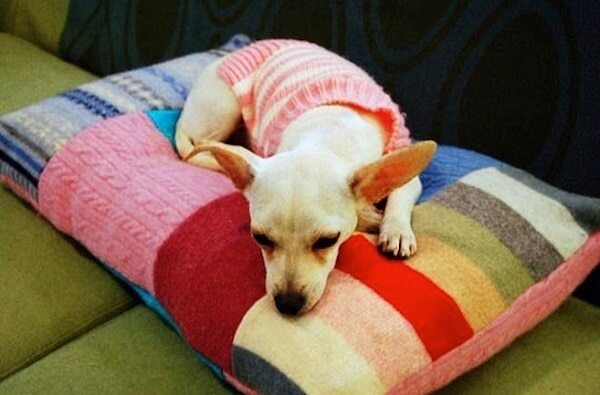 Cut out squares from old blankets and sweaters to make a comfy, cozy patchwork dog bed. 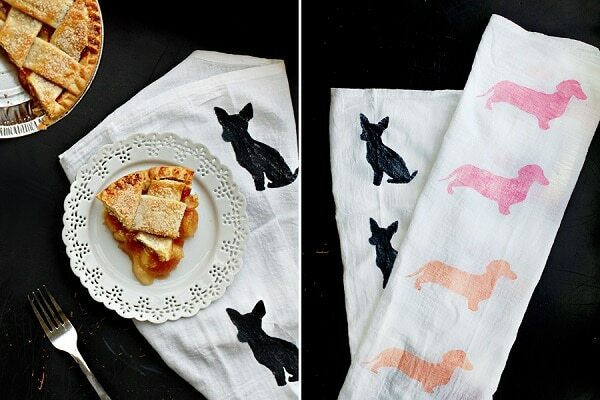 Stencil an adorable tea towel for your dog loving friends. 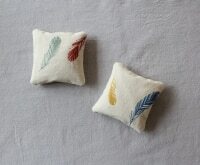 Wrap it around a canister of tea for a unique holiday hostess gift. 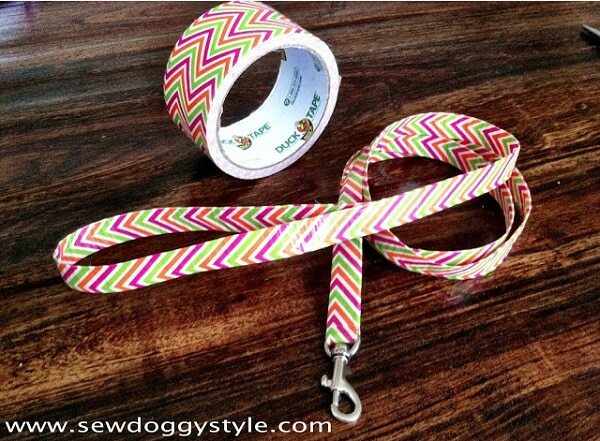 Rock the dog walk with this colorful dog leash made with a roll of your favorite duct tape. Don’t throw away that old sweater! 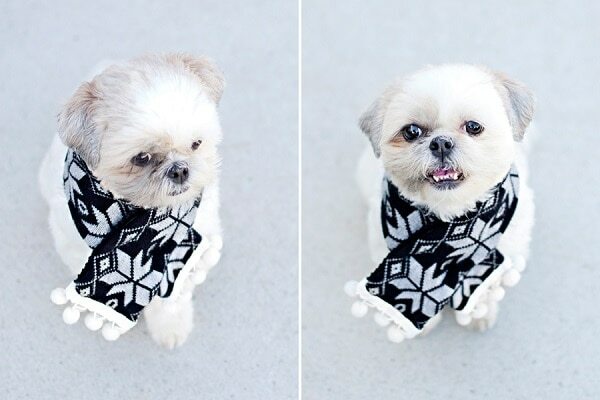 Cut a strip that will wrap around the dogs neck and add a strip of pom pons with your hot glue gun. 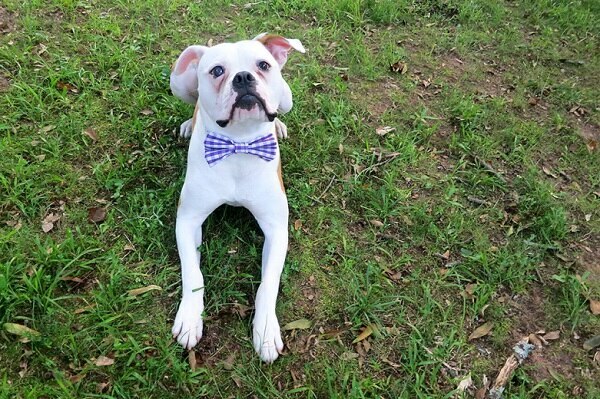 Give the gift of fashion to you favorite pooch. You need a dog collar, fabric, thread, needle and scissors. 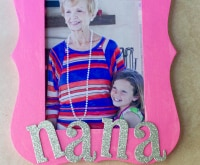 This is such a fun gift to give. Take photos of your friends dog. 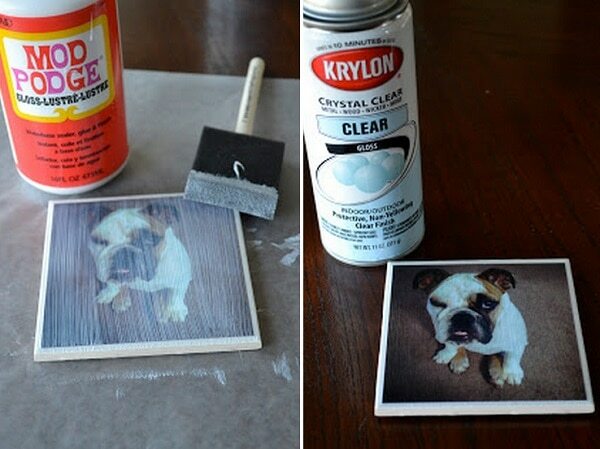 Print out your favorite dog photos and Modge Podge on to tiles from your local hardware store. 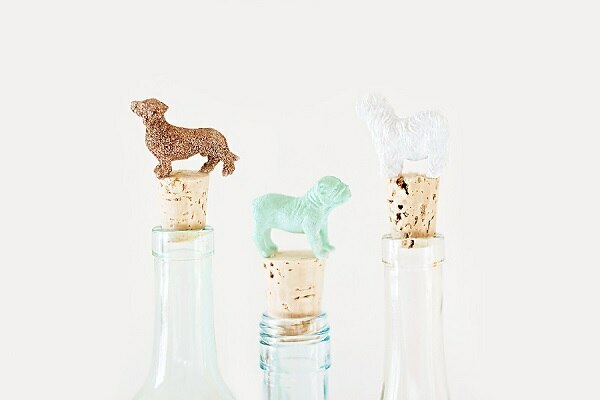 Pair these stylish dog wine stoppers with a bottle of your host’s favorite wine. 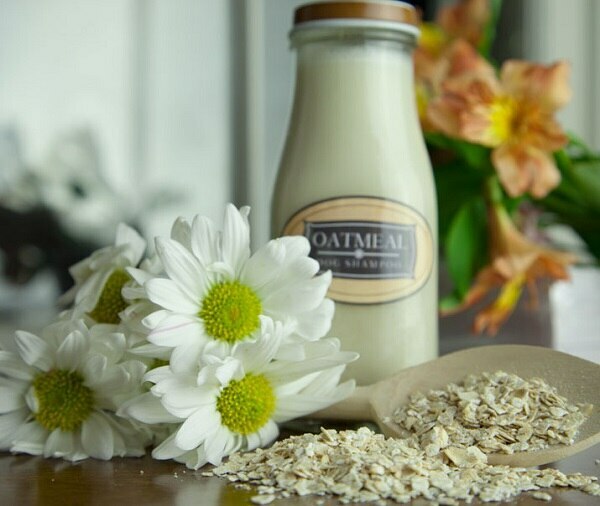 Create a luscious batch of oatmeal shampoo from ingredients you have at home. 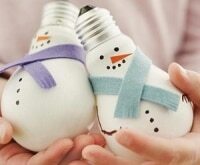 Fill old frappucino bottles and make a cute label. 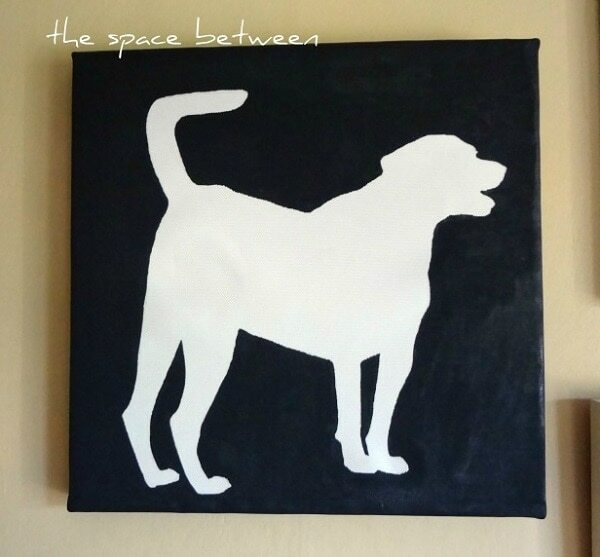 Turn a photo of your dog into a piece of wall art. Get an old canvas at your local thrift store and cover with a coat of paint. 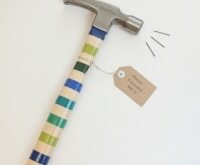 Hate DIY But Want To Give A Custom Gift? Take a photo of your host’s dog and turn it into a treasure at Shutterfly. 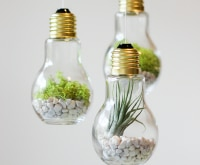 No crafting required. 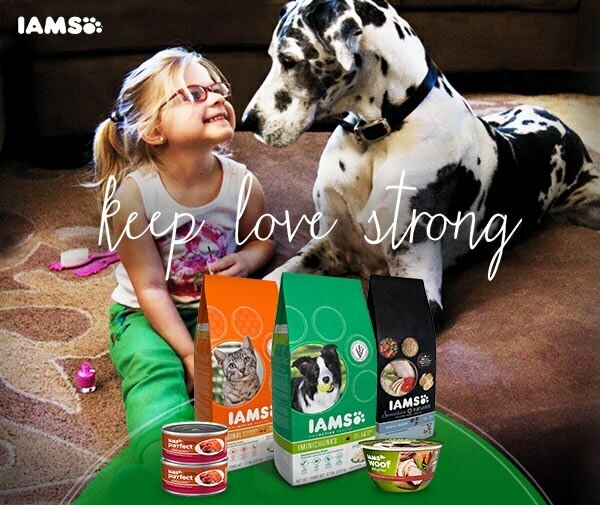 And if you’re looking for some great dog treats to include with any of these DIY gifts for dogs this year, then check out our IAMS coupons for great discounts on both dry and wet food for dogs and cats alike!